This gorgeous lightweight dress is a great easy to wear dress is a must have for any womens wardrobe. Featuring this beautiful grey floral print, short sleeves, pleated waist for a flattering fit and slanted pockets. 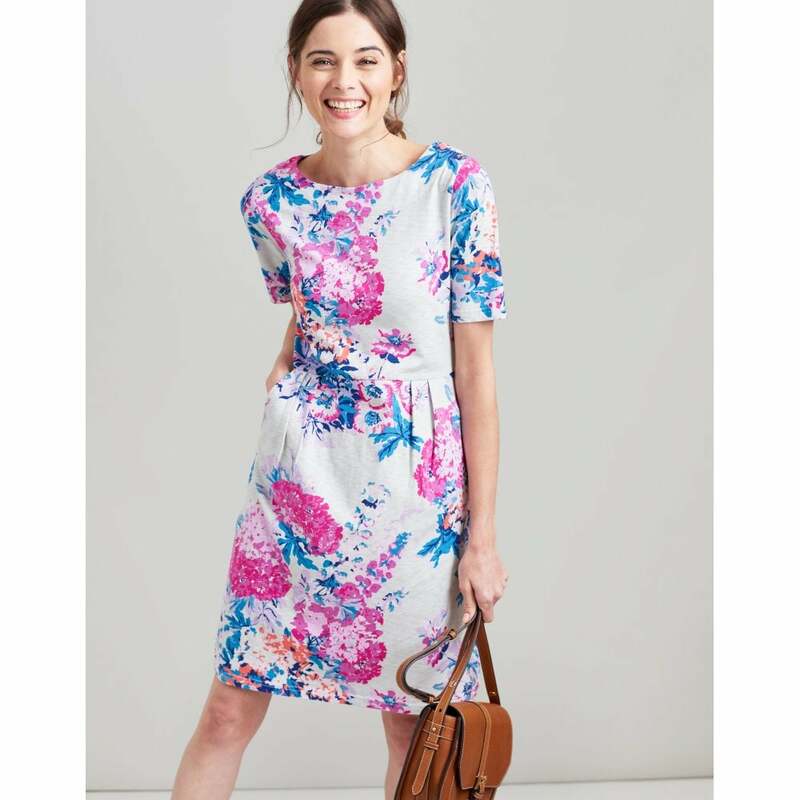 Whats not to love about this versatile dainty dress.